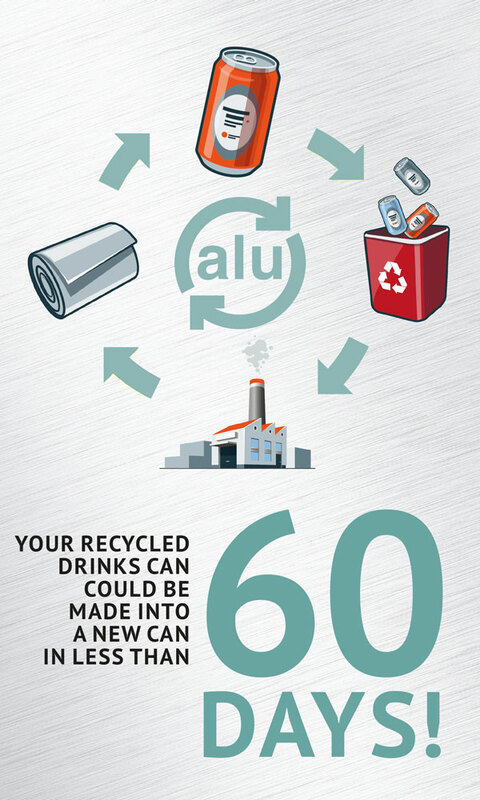 Recycling aluminium uses 95% less energy than producing aluminium from raw materials. It also saves 97% of green house gas emissions produced in the primary production process. Recycling 1 tonne of aluminium saves 9 tonnes of CO2 emissions and 4 tonnes of bauxite – the raw material from which aluminium is made. 1 tonne of CO2 is equivalent to driving nearly 5,000 kilometers. The metal is a permanently available resource. It is 100 per cent recyclable, for ever, so carbon savings increase every time it passes through the recycling loop.